NatureStop: Green bee-eater, Qurum Park, Muscat, Oman. 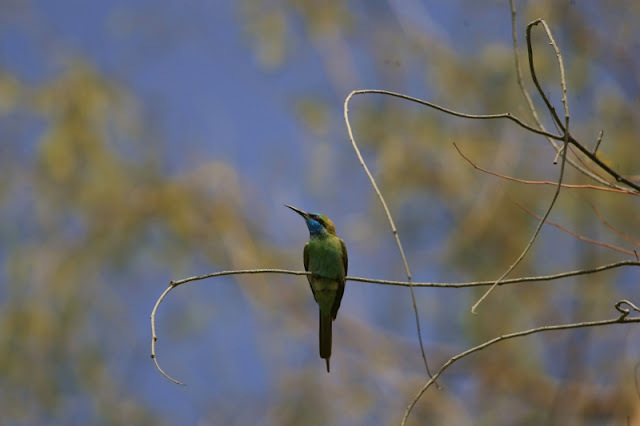 Green bee-eater, Qurum Park, Muscat, Oman. 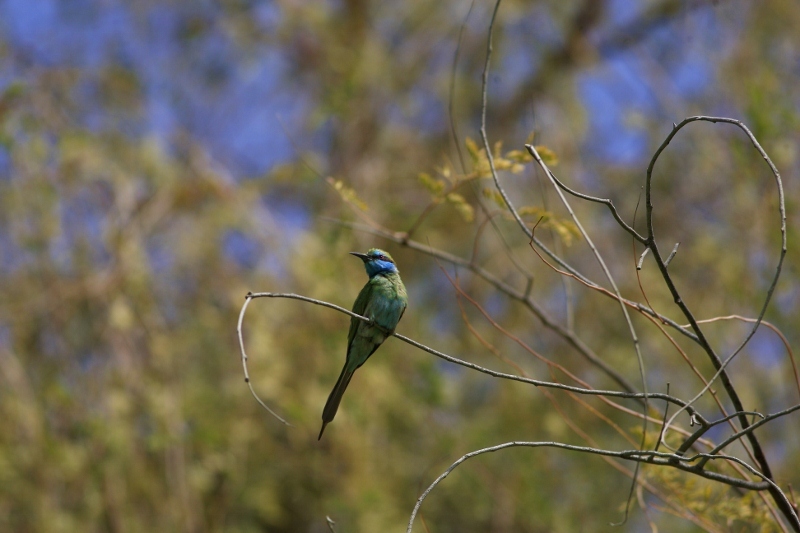 We wanted to share a few shots of this Green bee-eater when we went birdwatching to Qurum National Park, Muscat, Oman. Great photos of the Green Bee-eater. We have the Rainbow Bee-eater in Australia - they seem to be all over the world but with different colors. Great shots ... 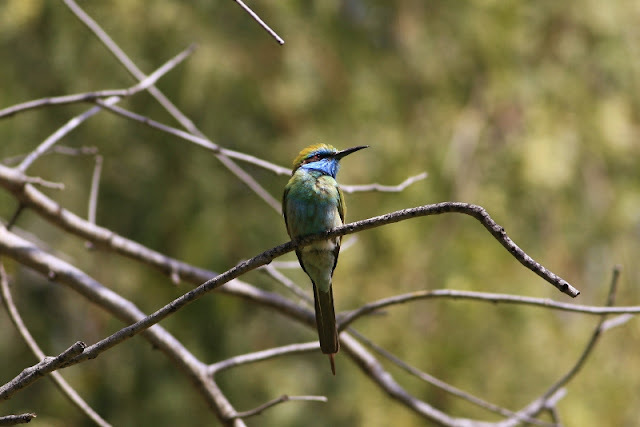 The Green Bee-eater looks so cute. Lovely colors. Been to Muscat a few times, but never visited Qurum National Park. Now I know about it, and will for sure visit next time. What a beautiful bird! Lovely colours. Beautiful bird pictures! Thank you for visiting my blog, and for your comment. Blessings!! Stunning shots of this lovely bird. Lovely shots of this beautiful bird. Thanks for visiting my post! What a wonderful series. I love the shining colours. 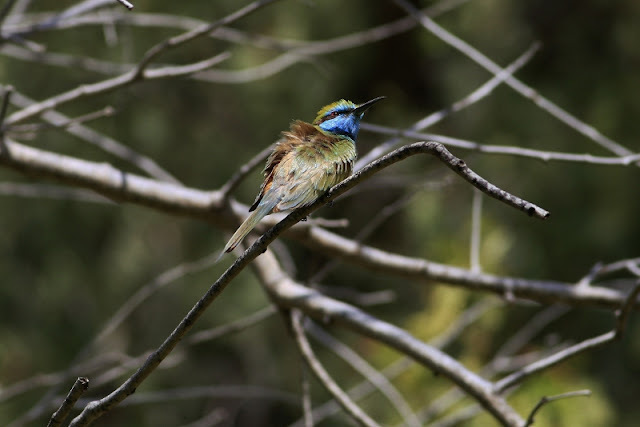 Amazing little bird - and super photos. Such a beautiful bird and marvelous photos! Fantastic shots of the beautiful bird. Good to hear from you, Shantana. Love that bird... What a beautiful set of colors.... Gorgeous!!! wow, gorgeous bird and awesome photos! I would love to see one of these birds in person. Thanks for sharing, have a happy weekend! this bird is a real treat. So gorgeous you can watch it forever. Great pics too. Im glad all is well with you and yours Shantana :-) These are lovely captures of a very pretty bird. What a gorgeous bird! These are beautiful photos! Beautiful bird. I love your series. Wonderful bird! I saw the same species on a trip to Muscat. Beautiful little bird and a great shot. Thx for stopping by my place. Exotic beautiful bird from an exotic land! Welcome back to blogland! The bee-eater is such a glorious little fellow. We have them in Western Australia too. Perhaps they have flown from Oman. I photographed them in our Pilbara area a few years ago. They were darting over the river catching insects on the wing. Thank you for stopping by my blog today and have a wonderful week. Such a pretty bird. Great photos. Gorgeous photos of a beautiful bird! Yes, precious photos, amazing eater Green. Such a beautiful bird and I love the colors of it! hi shantana, it's nice to see you here. 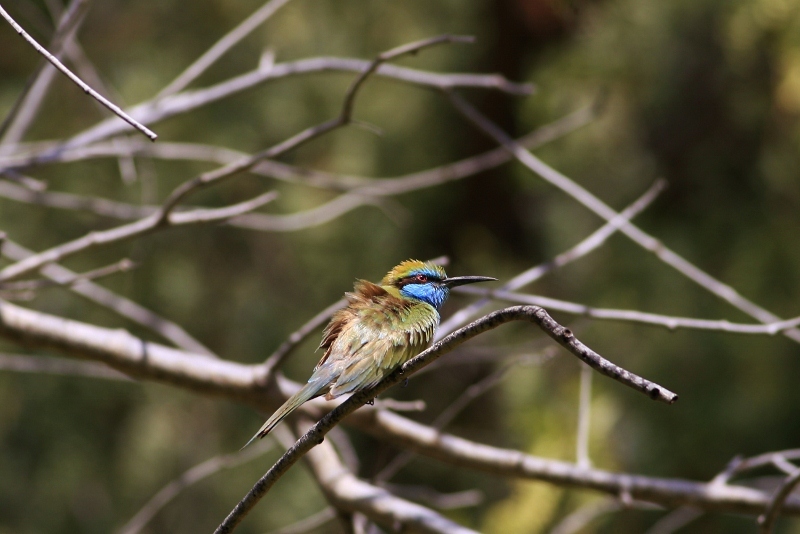 LOVE the little bee eater, beautiful bird! 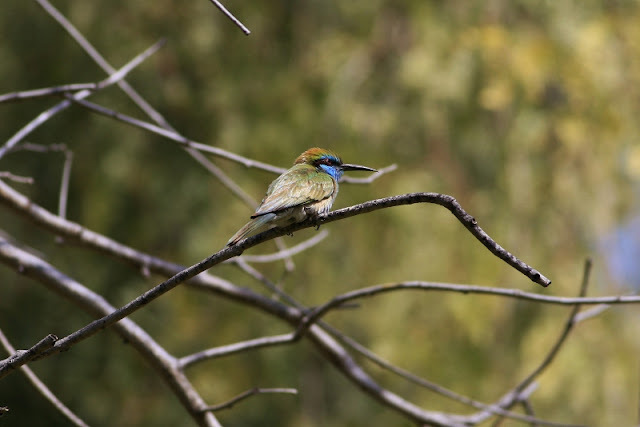 i've seen the white fronted bee eater in africa, it's a stunning species. Stunning bird and wonderful captures! 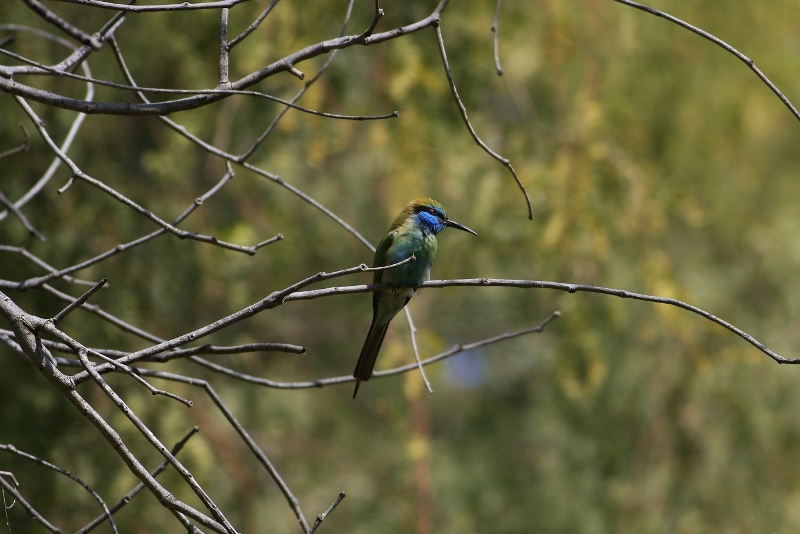 I'd love to see a bee eater some day. This bird is outstanding! Nice job capturing it!